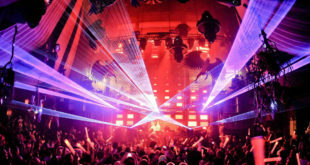 Indore is a popular city in the Indian State of Madhya Pradesh. Not only there are some beautiful places to visit in Indore but there are some amazing markets in Indore as well. 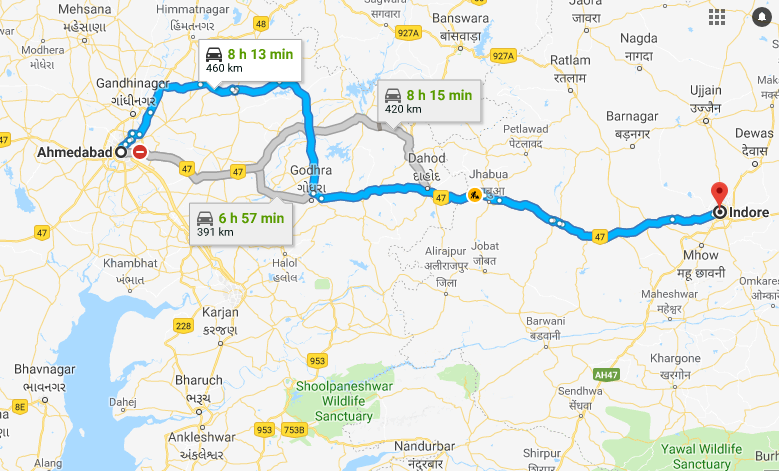 If you are in Ahmedabad and you are planning to visit Indore by Road, then this article will surely help you out as we will tell you about the best road route from Ahmedabad to Indore. Along with the best route, we will also tell you all other road routes which you can select as per our guidance and your convenience. 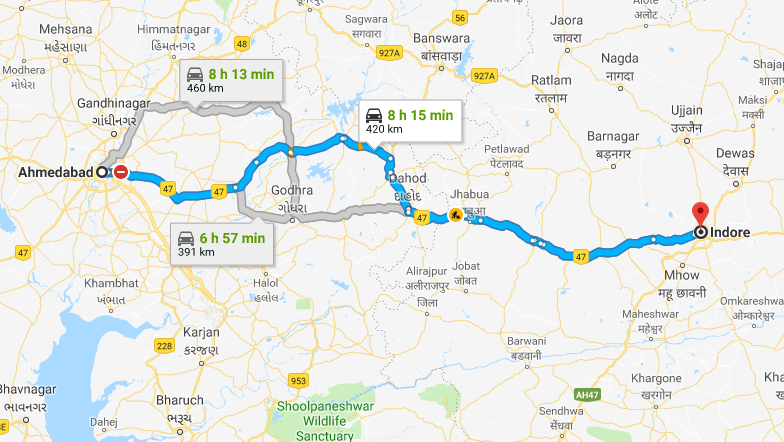 The time taken to reach Indore from Ahmedabad is 7 to 9 hours. This time is an approximate assumption and it may differ according to the route, driving speed, traffic conditions and road conditions. 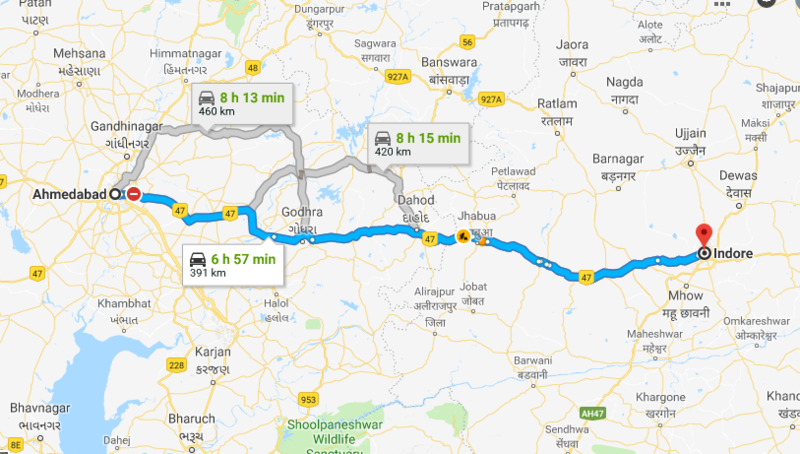 This is the longest of all routes as it takes about 8 hours and 13 minutes to reach Indore from Ahmedabad by this route. As you can see in the road map between Ahmedabad to Indore, it isn’t a straight route and passes through Gandhinagar. 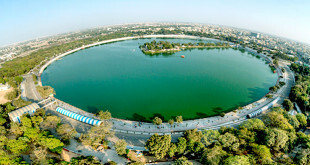 If you are willing to specially pass through Gandhinagar, you may choose this route. Otherwise, the other 2 routes are preferable. If you want to pass through Lunawada and Santrampur, you will have to take this route. You need to move towards Lunawada from Balasinor instead of going towards Godhra and then continue straight towards Santrampur. The total time taken to reach Indore from Ahmedabad by this route is 8 hours 15 minutes. This is undoubtedly the best road route from Ahmedabad to Indore. 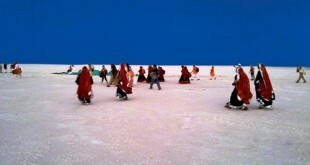 If you want to reach Indore pretty quickly without having to worry about the route, this route is the most preferred. This route passes through Godhra and Dahod and takes just 6 hours and 57 minutes to reach Indore. By this route, distance from Ahmedabad to Indore by road is 391 km. Hope you liked to know about all the Road Routes from Ahmedabad to Indore and also the Best Road Route from Ahmedabad to Indore. If you have any doubts or questions, you may leave your comments below.